British Virgin Islands "Voyage" video: Set sail in the British Virgin Islands. The turquoise sea looks good enough to drink, but we bring provisions for a week anyways - enough to go island-hopping, shipwreck diving, and cave snorkeling. As night falls in a sea of anchor lights, I find myself surrounded by stars above and below. Scenes include Tortola Island, Jost Van Dyke, Virgin Gorda, Sandy Cay, Cooper Island, Trellis Bay, Anegada, the Bitter End Yacht Club, Foxy's Taboo, the Indians, the Baths, snorkeling the caves at Norman Island, and diving the RMS Rhone shipwreck. The BVI are a unique place, almost like an "island city of sailors." At night, it's quite a moment being surrounded by a dozen other boats in what resembles a neighborhood at sea. We lived on a 40-foot sailboat for a week - with just 3 people aboard, we had our hands full raising sails, hauling scuba tanks, cooking, and cleaning! Of course, we did have our share of problems. On our last night, we ran out of fresh water in the tanks as we realized we only filled one of the two tanks - so we bathed in drinking water and drank soda . . .
As Matthew Flinders thundered along this island's north coast, before a fresh south-westerly in March of 1802, he sighted and named a point of land, Marsden, after which a large bay opened up before him. Bahamas Sea of Abaco Sailing Timelapse video - Filmed over a week of sailing the Bahamas in May 2013. The seas here are shallow and calm, colored aquamarine green and sheltered within barrier cays. The entry into one of the harbors is too shallow for any sailboat to pass. So we await for high tide, lured by the movement of the moon and stars. As the water rises and we finally sail in, old lighthouses and colonial buildings lay scattered like remnants of a dream. There's a particular feeling as night begins to fall in Abaco, where the lighthouse is still hand-wound and fueled by kerosene. Ships bathe under spinning beams of light. After dinner ashore, I walk across a narrow piece of land to view the Atlantic on the other side. Shallow reefs break ocean waves into tranquil Bahamian waters, where knee-deep beaches stretch far into the horizon. We lose track of time and as the tides fall once again, the passage out becomes impassable. We find ourselves lost to the charm of the sea. Scenes include Treasure Cay, Hope Town, Little Harbour, Marsh Harbour, Man-o-War Cay, Great Guana Cay, and White Town with stops by Fowl Cay, Tahiti Beach, and Sandy Cay. News | Atlantic Cup 2013 | America's Sailing Race: "#116 Icarus wins the inshore Series and secures 3rd place overall. #121 Lecoq Cuisine in the team’s first race together and first race on their new boat claims 2nd place. NEWPORT, R.I. – #118 Bodacious Dream (USA), skippered by Dave Rearick and Matt Scharl, held on to first place overall in the 2013 Atlantic Cup [...]"
Team New Zealand in the America's Cup: Kiwis arrive in San Francisco Bay with Larry Ellison's Oracle Team USA in their sights - San Jose Mercury News: "Sailing is a national pastime in New Zealand, where moms pack their kids off with sandwiches for a day on the water and dads run the committee boats for the dinghy races. So perhaps no country was more elated when the New Zealand sailing team won the America's Cup for the first time against San Diego's Dennis Conner in 1995 or more devastated when it lost it in a mast-breaking "horror show" in 2003. . . ."
... to the Democrat-Gazette Logan Meyer, who learned his skills in youth classes given by the Grande Maumelle Sailing Club, maneuvers a roll tack, a way of causing his boat to change directions rapidly, during the club's April 28 regatta on Lake Maumelle. 91. AC Discovered: This week the Red Bull Youth America's Cup Selection Series. Follow the young teams as they are put through their paces as they fight to secure a place in the Red Bull Youth America's Cup taking place this September on the San Francisco Bay--wake up calls, gym sessions, on the water training and more. #laser – Thomas Chaix of Kinsale Yacht Club is the overall winner of the Irish Laser Masters Championship held at Ballyholme Yacht Club at the weekend. Second was Chris Boyd who also won the Grand Master division and the final race in 20 knots. 2013 Leg 2 New York to Newport - In the closest finish in Atlantic Cup history, go back and watch the close racing in the 2nd leg - 231nm NYC to Newport! 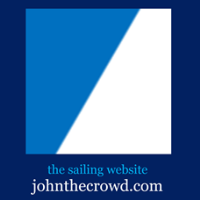 Premier sailing event featuring Class 40s concludes with competitors from ... At 6pm on Sunday, May 25th, the event will culminate at the Landing with a Prize Giving Party to disperse the $15,000 purse, one of the largest in U.S. sailing. BLESSED: Petty Officer Martin Hart (NTS Whitsunday) and Anglican Bishop of North Queensland Bill Ray presided over Sunday's Blessing of the Fleet, which was held in front of the Whitsunday Sailing Club. BENETEAU 31.7 ECHO - 1. Avalon (R.Conan/J.Fox), 2. Attitude (T Milner J Sugars M Branigan), 3. Kernach (Eoin O'Driscoll). BENETEAU 31.7 - 1. Prospect (Chris Johnston), 2. Bluefin Two (M & B Bryson), 3. Kernach (Eoin O'Driscoll). CRUISERS 0 ECHO - 1. Updated: Saturday, May 25, 2013 2:26 PM EST. HILTON HEAD ISLAND, S.C. (AP) - Hilton Head Island Town Council no longer supports building a sailing and rowing center on the island after the cost of the facility increased by about 30% to nearly $1 million. Annalise Wins Gold at Delta Lloyd Regatta! One of Dad's great interests was sailing. When we moved to New Bern in 1954, I was five years old. Although my father had talked about sailing, I had never seen a sailboat. That changed soon after we moved into our house at 1808 River Drive in New Bern.